Just wanted to post a couple of pics of the barnyard cat I took on Saturday morning. 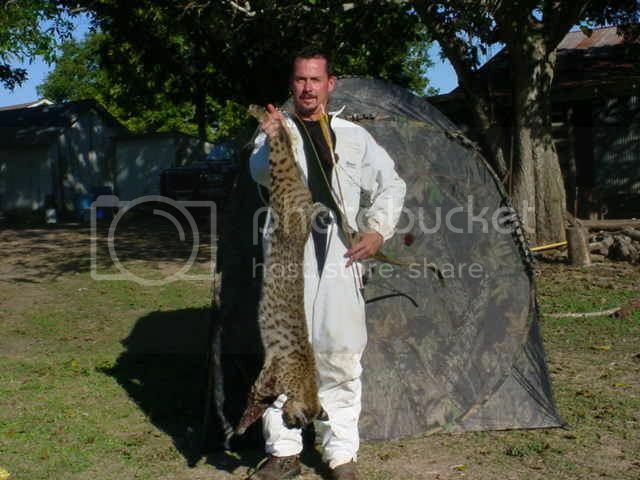 Im very proud of taking the cat even though he was killed in my own yard. 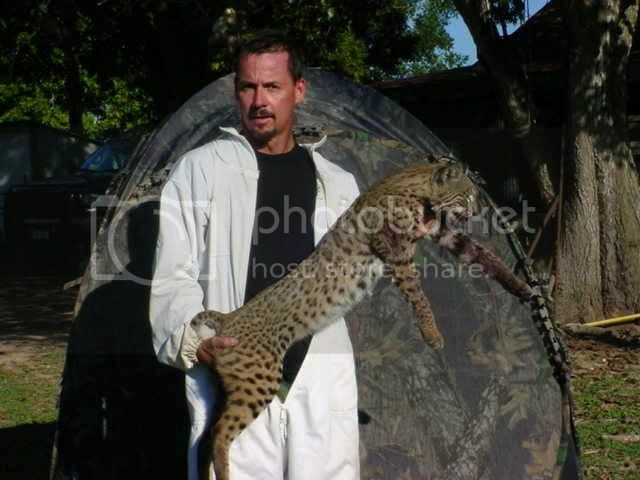 This cat was the most challenging animal I've ever hunted. Thats a huge statment but the cat watched me daily and knew my routine. I finally figured out how to level the playing field. Heres the pics. Wanna borrow my pop-up blind?